Gotta love the French! 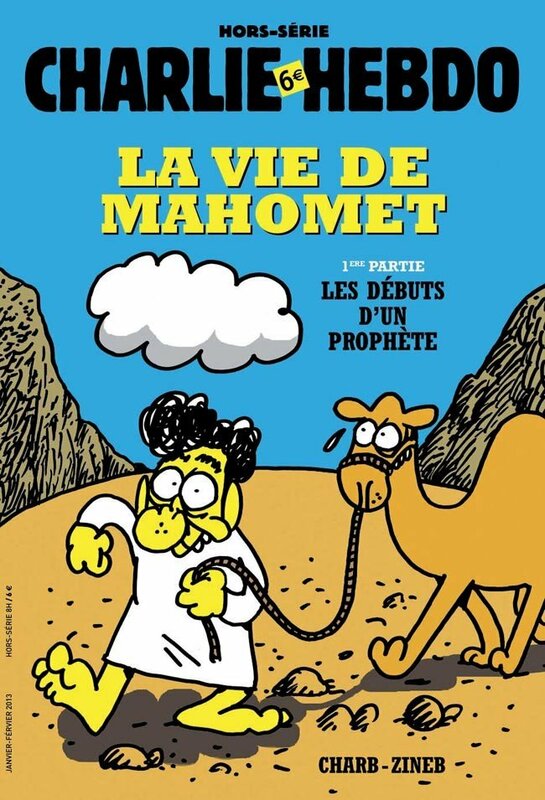 In yet another provocative move towards Muslims, notorious French satirical weekly Charlie Hebdo published a comic book biography of the Prophet Muhammad’s life in its latest edition on Wednesday. Charbonnier said during a press conference on Sunday that they have no intention of provoking Muslims and that the cartoons will not be offensive. He made it clear that he does not think that representing the Prophet in picture form should be taken as a provocation. “The ban on the portrayal of the Prophet is just a result of tradition; it’s absolutely not written in the Quran. If people want to be shocked, let them be. But we did not produce this work to shock people,” he said in response to a question. The publication of controversial cartoons by the magazine drew immediate reactions from the Islamic community. The president of L’association des Musulmans de Noisy-le-Grand (The Association of Muslims of Noisy-le-Grand) Enis Chabchoub said no prophet is portrayed in Islamic tradition but that everyone is free to portray them in their own minds. “But if some people want to make cartoons of the Prophet, I cannot accept this person as a Muslim,” he said. This entry was posted in Democracy & Liberty, Humour & Satire, Religion & Philosophy and tagged Charlie Hebdo, France, Islam, Paris, Prophet Muhammad, terrorism. Bookmark the permalink. Also, watch the cold-blooded murder of a police officer at LeakSource. Not for the faint-hearted!